Locksmiths are great partners to your organization because they help keep your facilities secure. They generate detailed keying charts and manage this information for you. But what happens when your partnership deteriorates, and you need access to that data? Those records that were created on your behalf are owned by them, not you. Now you’re left to start from scratch or attempt to re-create the information. 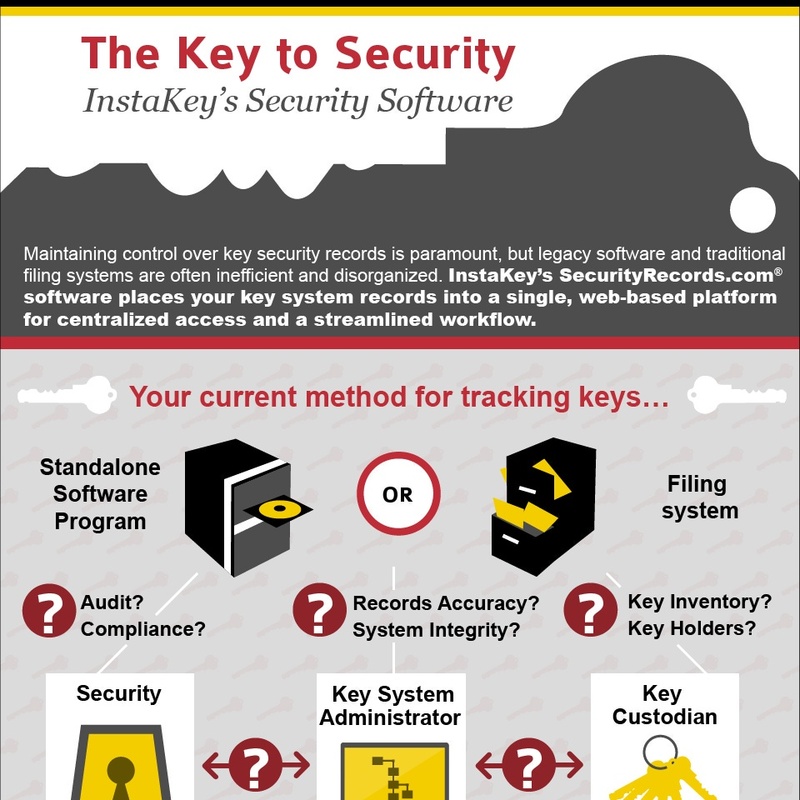 So, what if you could own your key system records from the beginning? With SecurityRecords.com®, you own your records and data. It’s your information to use how you see fit. Not only are the keying charts yours, but all the key control data. All information is displayed through an interactive dashboard allowing a bird’s eye view of your program. Here is a collection of content explaining how managing your own can be a game changer.